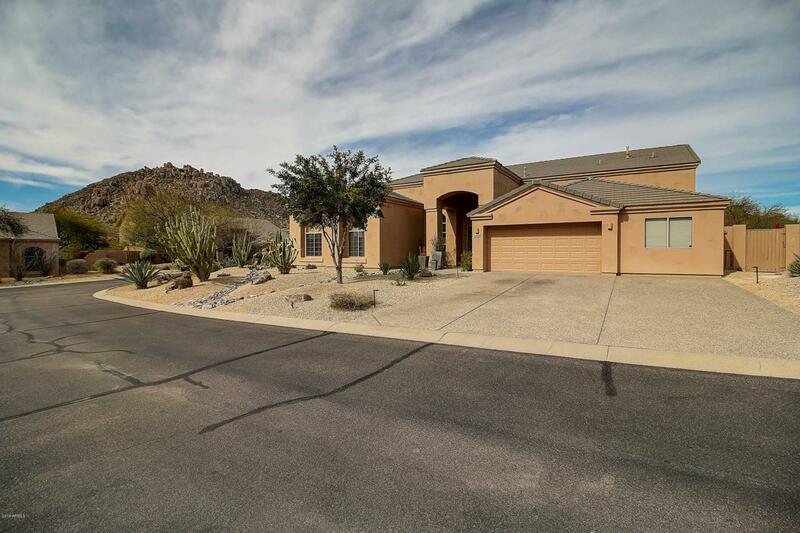 Single level, north/south orientation and incredible Troon Mountain views, this updated 4 bedroom 2 1/2 bath home has it all. The kitchen, with built in refrigerator, features white ice granite and white cabinets, double wall ovens, ceramic backsplash and a gas cooktop in the center island. Just off the updated laundry room is an office with built in cabinets and desk, or it can easily be converted to a third car garage or fourth bedroom. New master bath has a tiled walk-in shower with frameless glass and a stand-alone tub. Updated wood look tile throughout the heavy traffic areas. New A/C units. Low maintenance landscaping makes this a perfect lock and leave.